Screenshot of a Twitter spammer. Also, it seems to change some of its account pictures every day. Usually some innocent-looking chick. The short URL they used is 〔http://bit.ly/inLQeY〕. 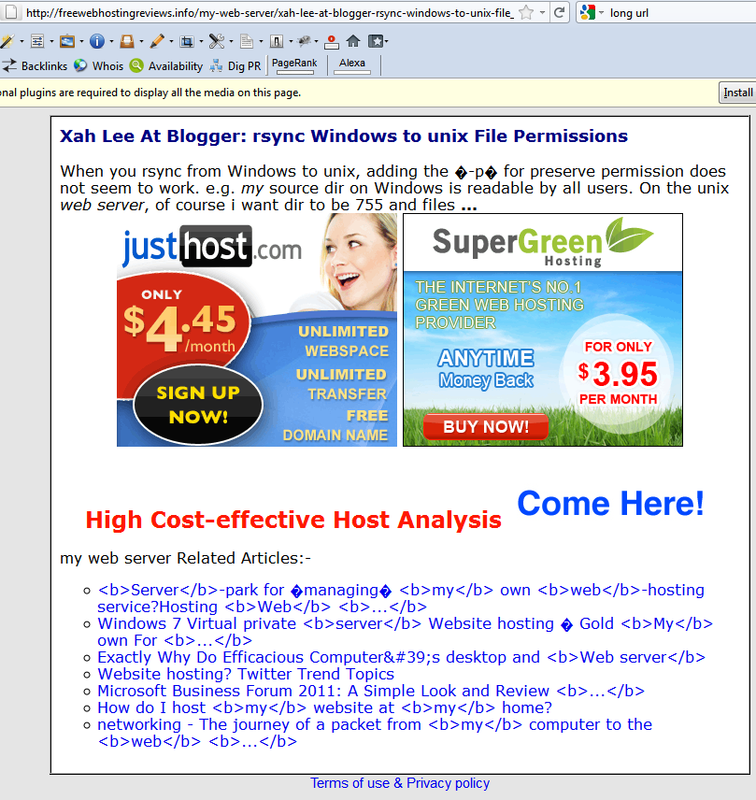 It redirect to this 〔http://freewebhostingreviews.info/my-web-server/xah-lee-at-blogger-rsync-windows-to-unix-file_25601374X35t_Jun2011.html?utm_source=twitterfeed&utm_medium=twitter〕. The Twitter accounts are: MaragareHarp, RosalieHoffmann, JimmyHymel, StaceeHailey, DarrinKollman, GlennPeacock, IsmaelSchanz, TrumanHare, YeeSowder, Tilliecquha. 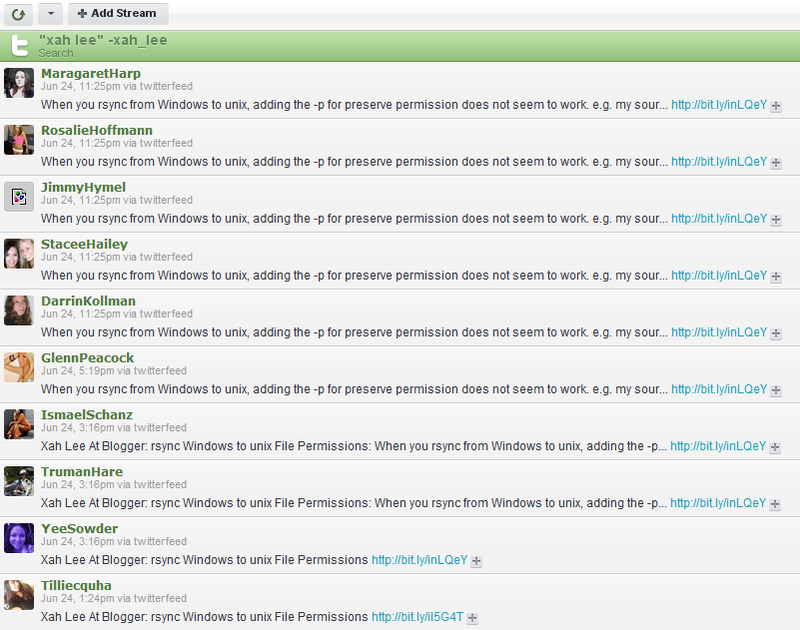 My original article is this: rsync Windows to unix File Permissions. This spammer now spam-tweet my spam report with 3 new accounts.